Hospitals are scary. If the jaded, inept nursing staff doesn’t kill you, the malevolent spirits of the dead patients just might! 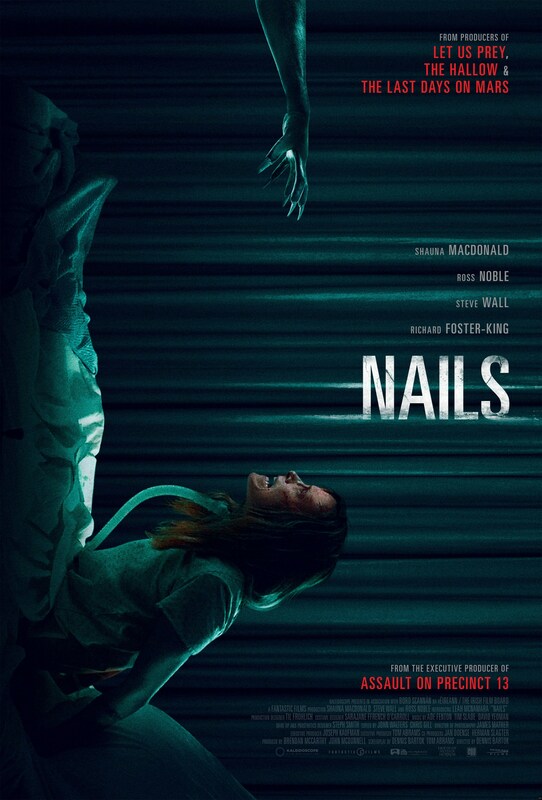 The latter appears to be what ails Shauna Macdonald (The Descent) in Dark Sky Films’ newly released frightener Nails. Macdonald plays Dana, a mother and track coach left temporarily paralyzed by a terrible auto accident and tormented by a hospital boogeyman no ones believes to be real. Looks like terrifying stuff. Let’s hope there’s a glimpse of Macdonald in a backless hospital gown to ease the tension!